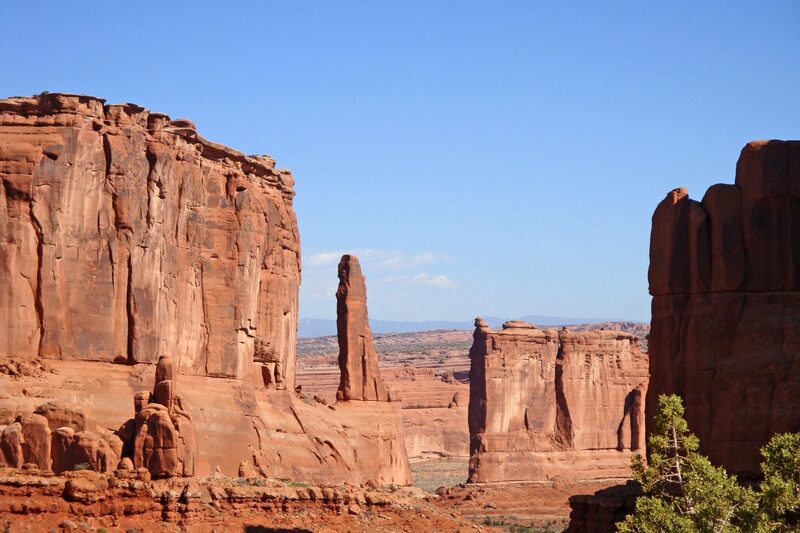 Perhaps Utah’s most spectacular state park, Dead Horse Point towers 2,000ft above the Colorado River with breathtaking views of canyon country and the pinnacles and buttes of Island in the Sky district of Canyonlands National Park. In 2016, the park was recognized as an International Dark Sky Park, and is considered to be one of the most accessible and active areas to stargaze out in Moab! The park is at 5,900ft, which means weather is a bit more unpredictable, more windy, and definitely cooler than downtown Moab, so dress accordingly. The main overlook boasts breathtaking panoramic views of the Colorado River and its side canyons. The scenic Rim Trail towers 2,000ft directly above the Colorado River. There are two hiking-specific trails on which mountain biking is not allowed. 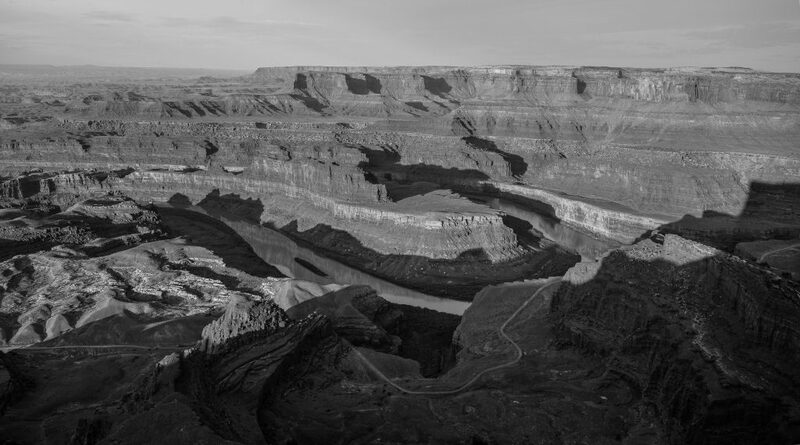 Both trails leave from the visitor center and go to the Dead Horse Point overlook. Both are an easy walk; the East Rim Trail is 1.5 miles and the West Rim Trail is 2.5 miles. The Intrepid Trail System is bisected by the highway and provides 16.6 miles of moderate to intermediate riding. The trails meander through varied terrain including slickrock and sand; some pass through meadows and others along the edge of the plateau. The classic Big Chief is among the longest, and the newer Twisted Tree and Prickly Pair offer technical challenges. Hiking is also allowed on mountain biking trails. No dogs are allowed on the mountain bike trails. Yurts are available by reservation for overnight use year-round. Each yurt provides sleeping for six (a queen bunk bed and a full-size futon), electricity, cooling unit, propane fireplace, table and chairs, locking door, outdoor propane grill, and seating. Modern restrooms are nearby, but no showers. The 21-site Kayenta Campground features electrical hookups, tent pads, sheltered tables, and charcoal grills. No showers. **Due to dry conditions, there is currently a Fire Ban in place until further notice. No campfires of any kind are permitted within the park, or surrounding public lands.